Essential and great practicality. 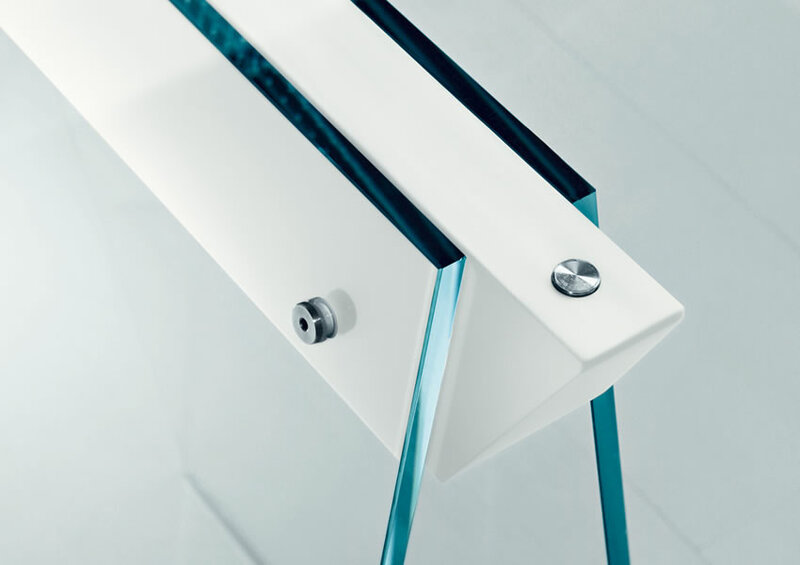 The robust stands can also receive surfaces of big dimensions. 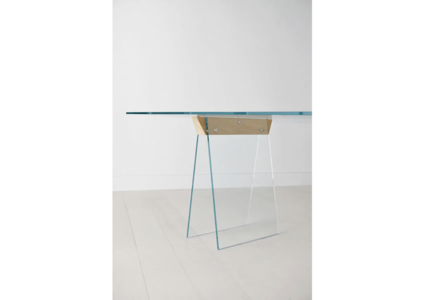 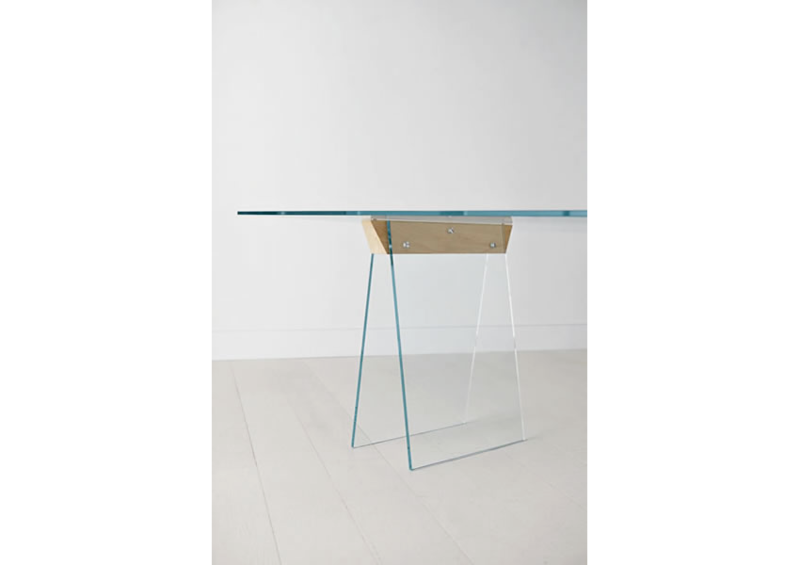 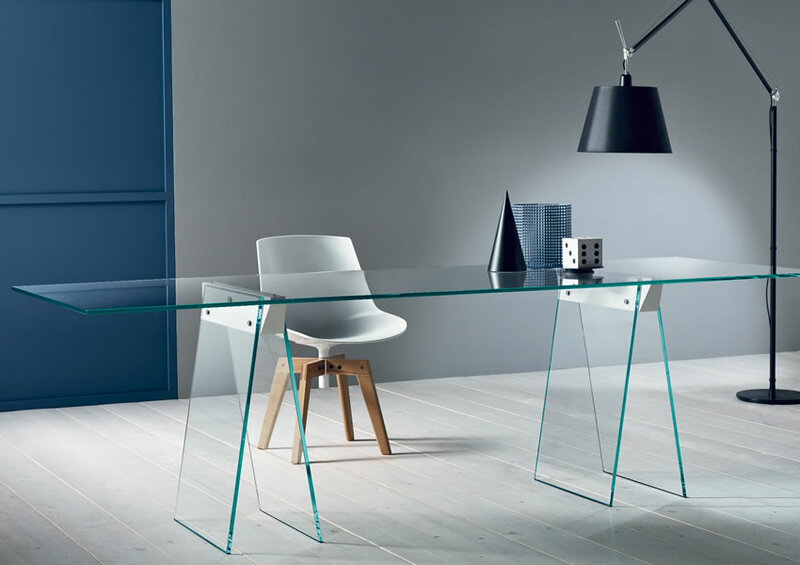 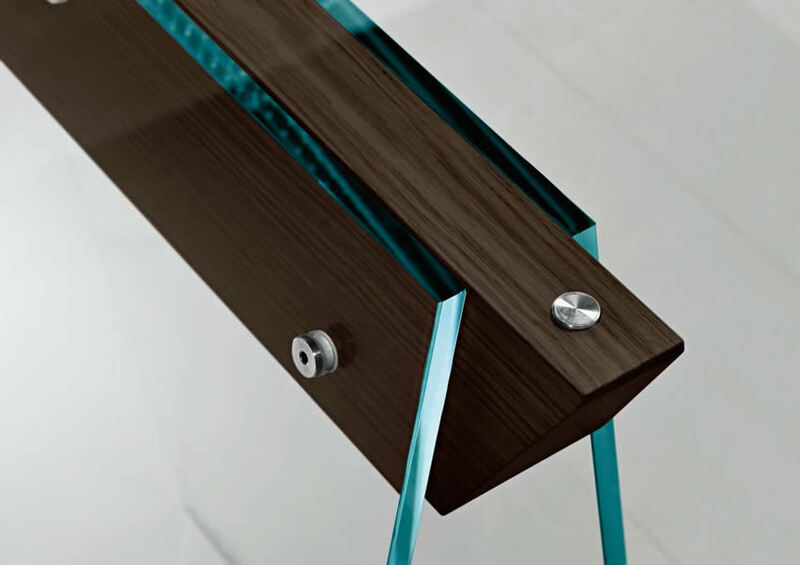 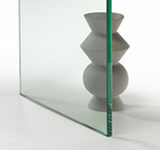 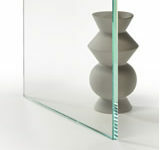 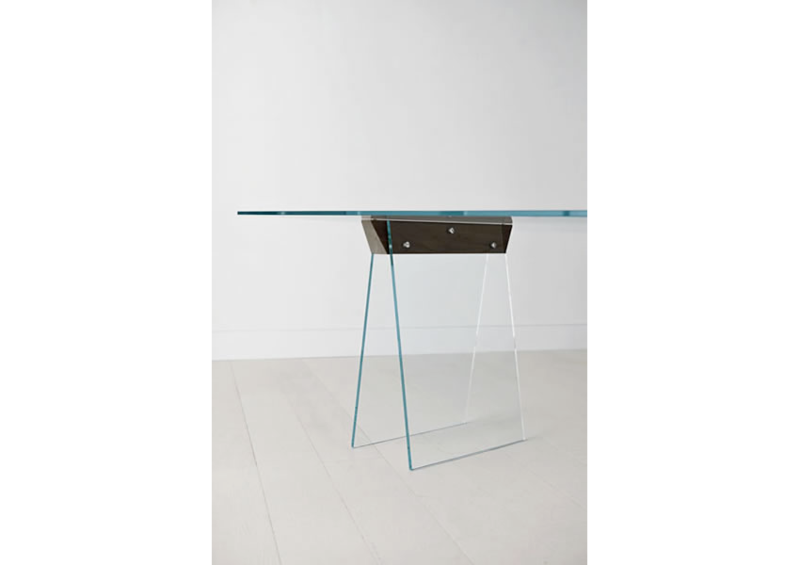 Available in extraclear or transparent glass. 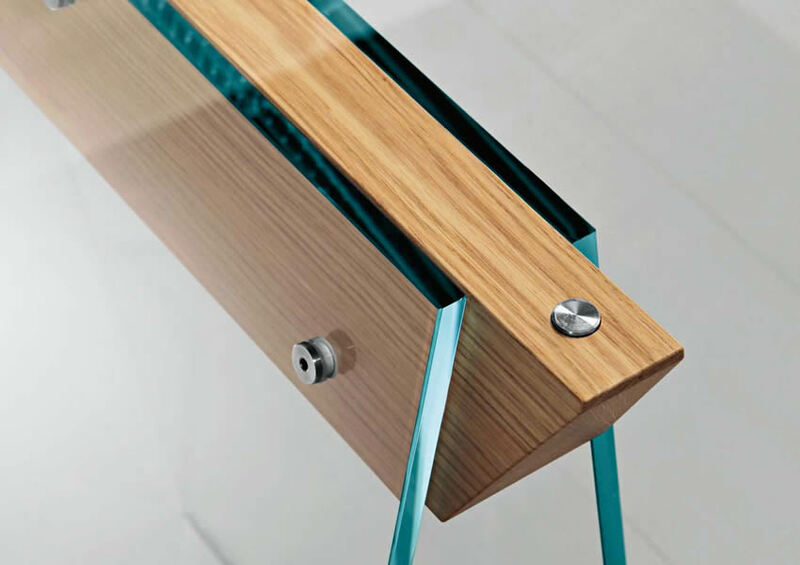 The wooden joint can be in natural oak, or wengé dyed or matt white.